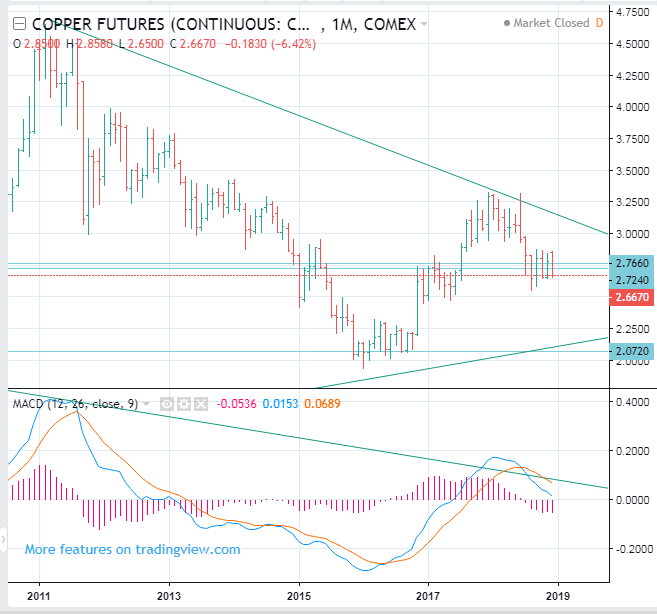 Copper prices seem to be ready to go down. It is likely to go down to about 2.07. It seems to fulctuate because it is on the support line. If it rises, it will be a good sell opportunity, so it is better to sell aggressively.